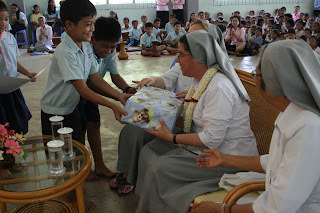 Today we held a special ceremony to show our big gratitude to sister Teresita, who is our provincial sister. 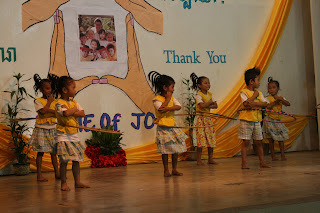 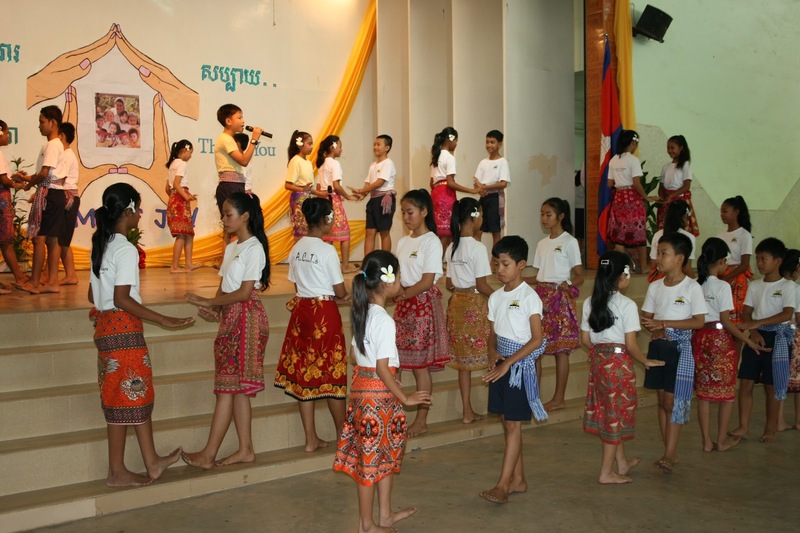 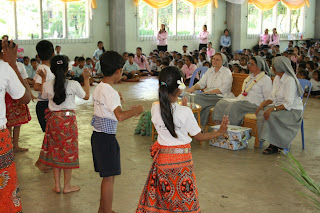 We celebrated this day singing, dancing and spreading our joy among all students of kindergarten and elementary. 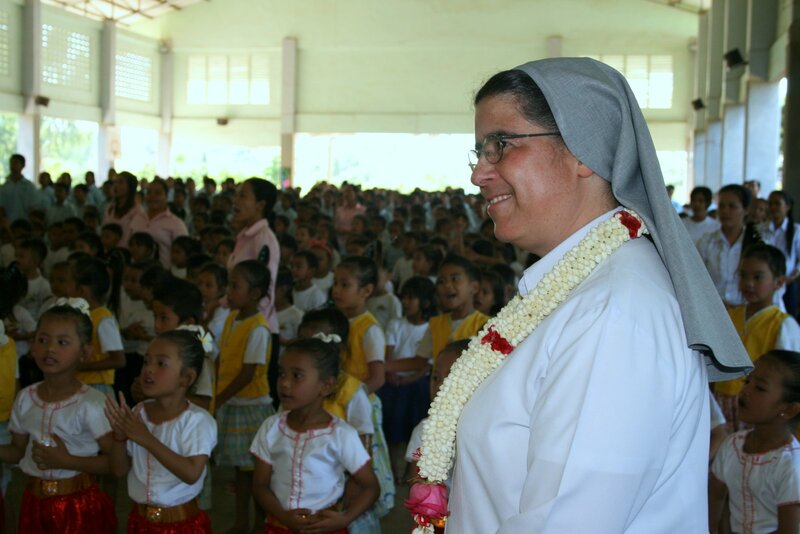 “The fruit of the Spirit is love, joy….” (Gal 5,22). 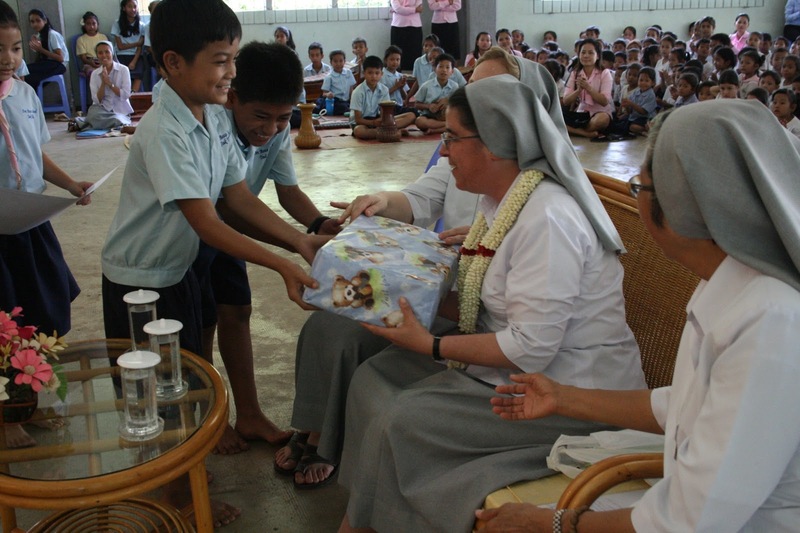 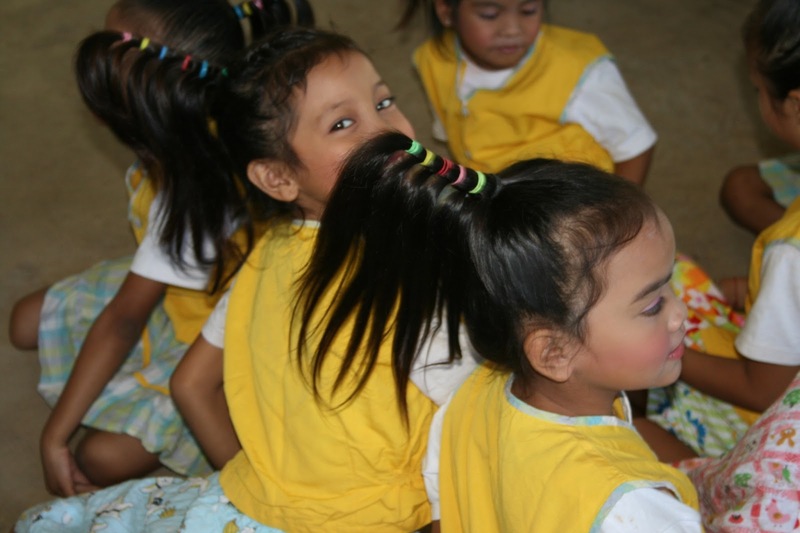 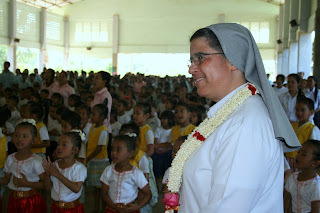 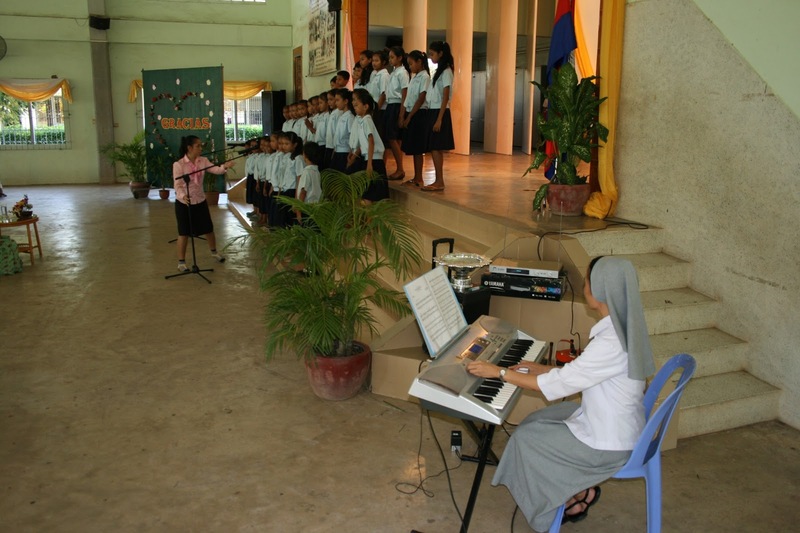 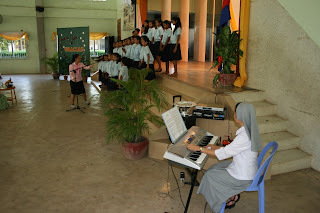 Salesian Sisters in Cambodia and Myanmar work towards peaceful, developed countries, where poor youth receive quality education, moral and spiritual values are upheld and women play active roles in the decision-making and nation-building processes. 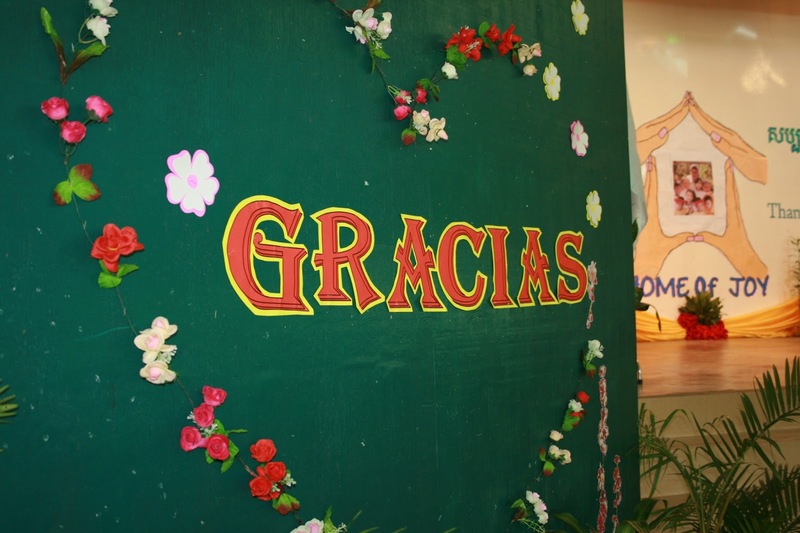 “LIVING DON BOSCO'S DREAM THROUGH THE YEARS... A FAMILY CELEBRATION OF THANKS!" 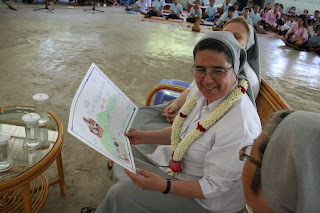 Copyright © 2013 Salesian Sisters in Cambodia and Myanmar and Blogger Templates - Anime OST.